Do you hate your job? So do we. 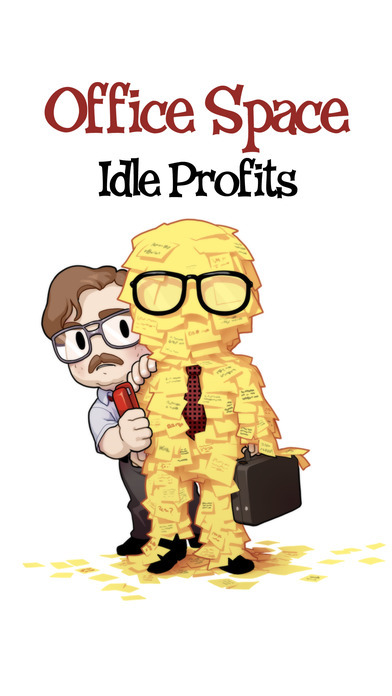 Team up with the gang and take down the man in Office Space: Idle Profits! You are a disgruntled employee at Initech and layoffs are imminent. You need a plan to get back at the company, big time. 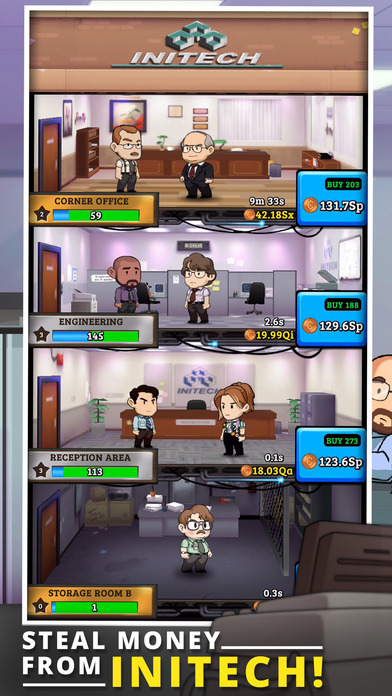 Team up with Peter, Samir, and Michael to install a virus in the company's mainframe that will siphon undetectable pennies out of each department and place it in your own retirement account. It’s basically the plot to Superman 3. 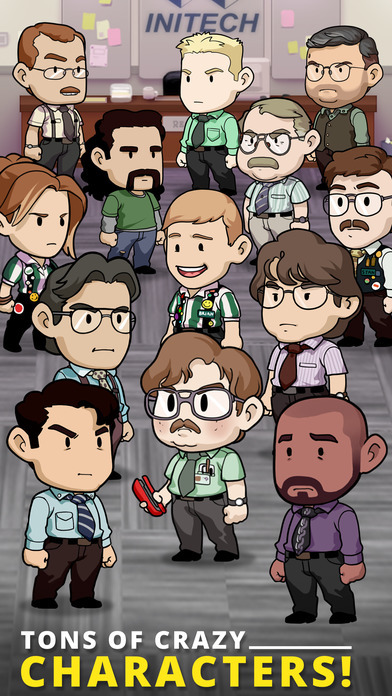 If you’re successful, you and your friends will be rich, and when Lumbergh discover that the money is missing, he’ll look like a fool. 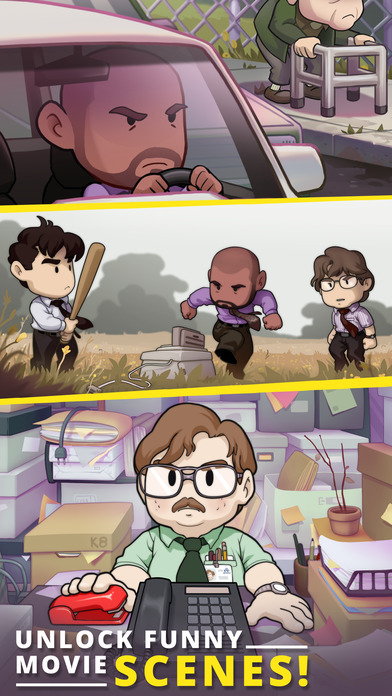 But first, you’ll have to start at the basement... Game Features: Stress Relief! Tap furiously to relieve stress and unlock your favorite scenes from the movie. Office Parties! Compete in regularly scheduled events to win rare items! Endless Gameplay! 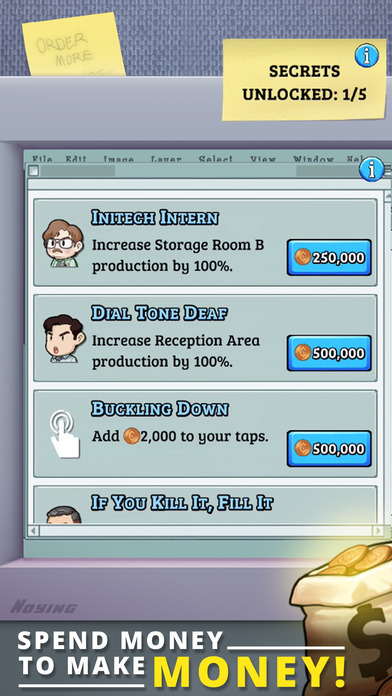 Hundreds of upgrades and achievements to unlock as you rip off Initech! 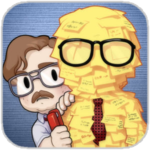 As awesome as it is to see a game built around a comedy whose influence went far beyond its meager $12.8 million in box office receipts, there’s nothing as memorable about Office Space: Idle Profits as the lines of dialogue from the movie that inspired it. Not even a meeting with the Bobs is likely to save this one from being here today, gone tomorrow, just like poor Initech itself.